Hej everyone, Hope you are having a wonderful day. This is another scheduled post for you. I am in Sweden currently. Couple of more days before I return. It is absolutely wonderful here. So beautiful and I am enjoying every minute of my vacation. I have a baby card to share with you from Winnie & Walter. This is a clean and simple with dimension. Hope you like it. Here is the card for you. I really love how this card turned out. Although this was not in the plan while making the card. I wanted to make a baby card and use In a Word: Baby cutaway. Also I wanted a subtle background and a dressed up Baby Cutaway. 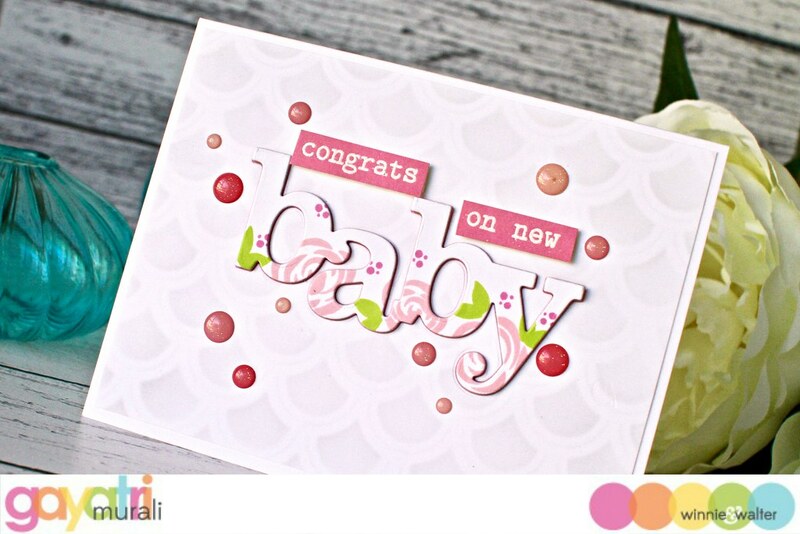 So after going through the stash, I picked Lola’s Bouquet stamp set to dress the Baby Cutaway. 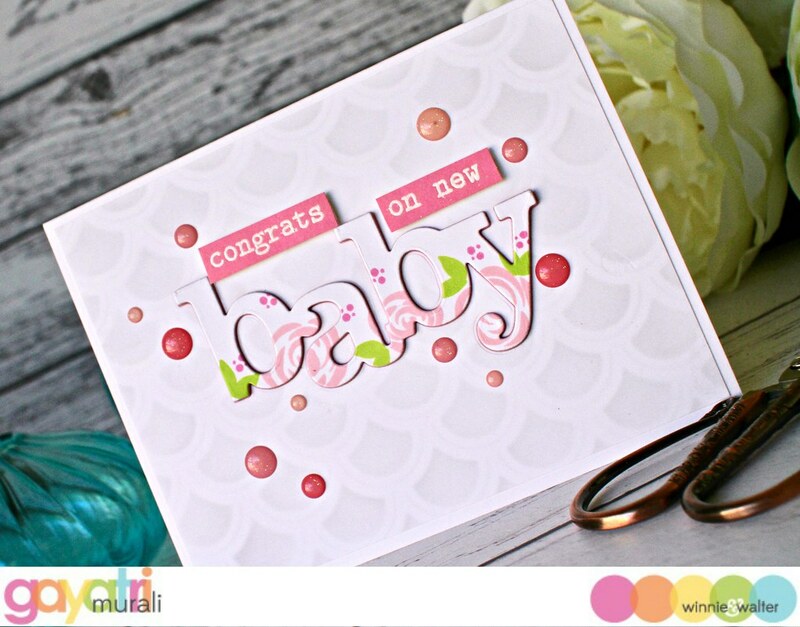 I stamped the floral images and leaves using Altenew Pink Diamond and Bamboo inks on the Baby cutaway. I also die cut three more Baby cutaway using pink cardstock. Then I stacked and glued the three pink die cuts with the stamped die cut on top.